Richmond Intl. - Providenciales Intl. 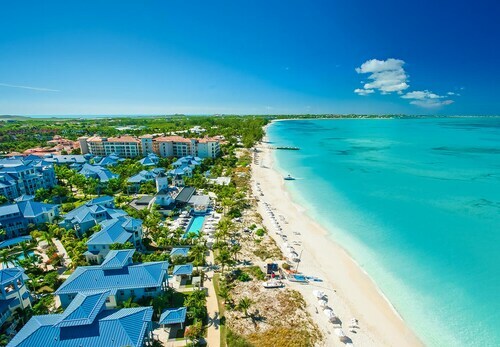 Turks and Caicos is known around the world for their white-sand beaches, turquoise waters, and refreshing cuisine. 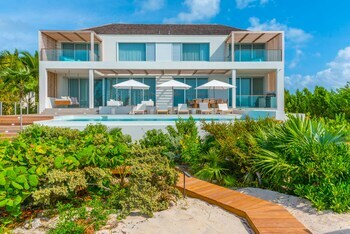 When you embark on your dream vacation in Providenciales, the moment you step off the jet way you'll be surrounded by an oceanic paradise replete with warm weather, sunny skies, and the type of calm you can find only on a charming island. Eat your fill of crisp conch fritters, swim in the Caribbean Sea, and get swept up in a lively regatta or a kite-flying festival. 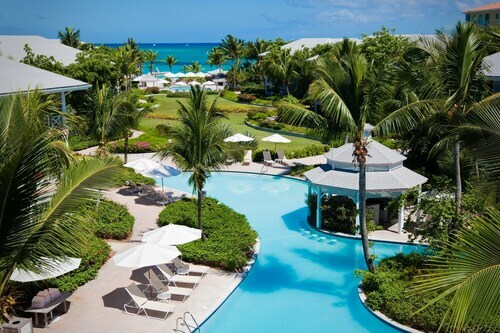 But first, find the best Providenciales package deals right here. 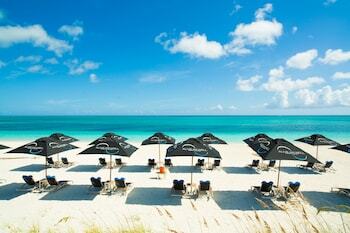 Plan a dreamy trip to Providenciales with convenient flights and a fabulous hotel or resort. Consider these guest favorites. 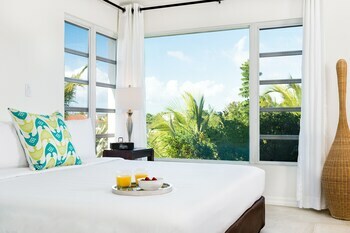 Alexandra Resort: Thanks to a private balcony that opens over Grace Bay Beach, your guestroom at Alexandra Resort is as bright and breezy as the sandy shore below. 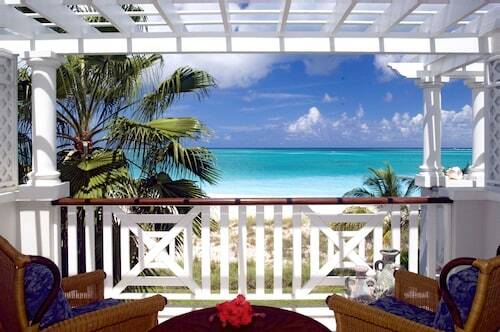 Start and end each day there, looking out over one of the world’s most beloved beaches. And after a full day snorkeling near the Coral Gardens Reef and shopping at local malls, treat yourself to some pampering at the full-service spa. 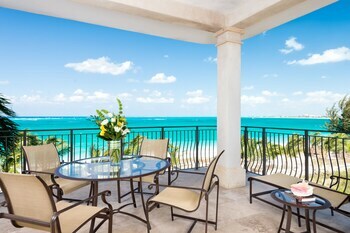 Sands At Grace Bay: As you relax on the sunny veranda of your luxury suite and the children play nearby, savor the moment. 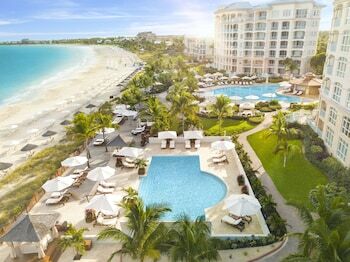 Sands at Grace Bay is a collection of condominiums for travelers who want to feel right at home. Once you experience an on-site spa treatment you’ll want to move in, and the outdoor pools and tennis court are an embarrassment of riches for an active family. 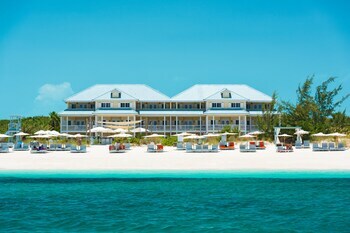 Seven Stars Resort: Whether you’re a morning person, waiting to watch the sun rise over Grace Bay or you can’t wait to stay out late and sip cocktails under the crescent moon, Seven Stars Resort will make your dreams come true. Get a restful night’s sleep after a soothing massage or make new friends at the open-air restaurant and Tiki bar. 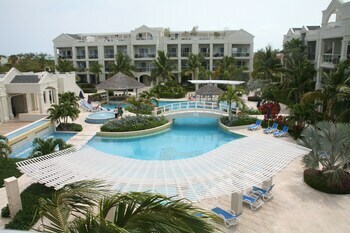 Windsong on the Reef: Also located in glorious Grace Bay, Windsong on the Reef is true to its tranquil name. 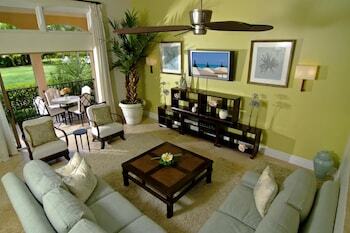 Stay a few minutes’ walk from Coral Gardens Reef and a short drive to Turtle Cove. When you aren’t snorkeling in an underwater wonderland, lounge under a sunbrella and listen to the gentle tune of the sea breeze before a gourmet dinner at one of the hotel’s two restaurants. 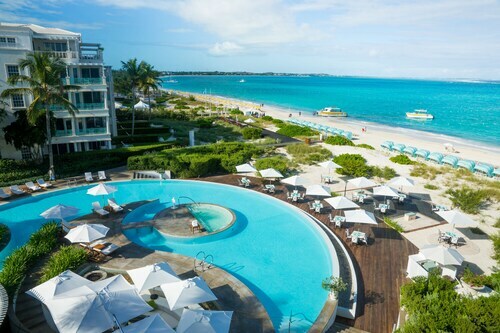 Since Turks and Caicos is a relatively small collection of islands, it's easy to get from the airport to the many tropical attractions, casino resorts, upscale shopping, and golf courses. On the east side of the Providenciales, Caicos Conch Farm is a one-of-a-kind attraction, where you’ll learn about the latest in marine preservation and discover the beauty of deep sea creatures. In the exquisite Grace Bay, discover the waterfront wilderness of Princess Alexandra National Park, a marine preserve near a barrier reef. And when you want to while away the hours doing absolutely nothing, there are plenty of opportunities for that, dear traveler. After your snorkeling excursion from Princess Alexandra National Park, soak in the boldest blue water you’ve ever seen in Grace Bay. The waterfront is rarely crowded, but hotels, casual dining options, and watersports are within easy reach, making Grace Bay a great place to relax on your family vacation in Providenciales. Looking for a more secluded hideaway? Make your way to Malcom’s Road Beach in the island’s quiet west coast—make sure you’re there to watch the sunset over the sea. Abscond on your Providenciales vacation with a finger on the pulse of the island’s many festivals. Indulge in regional delights at the annual Turks and Caicos Conch Festival, which takes place in November around the Blue Hills region. Also in late autumn, Turks & Caicos Restaurant Week has many of Providenciales’ top chefs whipping up magical menus. If rowing is on your mind, join the merry-making crowds to cheer on your favorite seafarers at Fools’ Regatta in June. It’s one big party on the beach with a sand castle-building contest and charity fundraising. When the waters woo you, book a Providenciales vacation package with Travelocity. There’s nothing more relaxing than the peace of mind that comes with saving time and money on a great getaway. 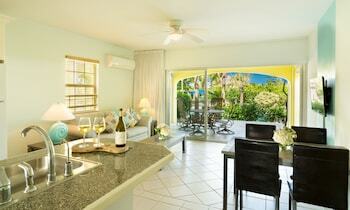 Situated near the airport, this hotel is within 1 mi (2 km) of The Regent Village Shopping Mall and Grace Bay Beach. Long Bay Beach is 2.8 mi (4.5 km) away. Nestled on the beach, this Providenciales resort is within 1 mi (2 km) of The Regent Village Shopping Mall and Grace Bay Beach. Long Bay Beach is 2.2 mi (3.5 km) away. 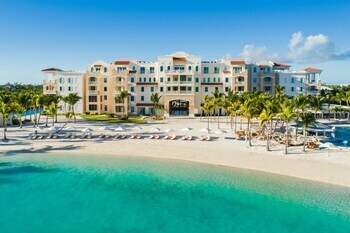 Facing the powdery white sands of Grace Bay Beach on Providenciales Island, this sophisticated resort features a destination spa with standalone treatment rooms surrounded by water. Set on a 12-mile stretch of white sand beach, Beaches Turks & Caicos Resort Villages & Spa All Inclusive is a quarter-mile from the crystalline waters of White House Reef. 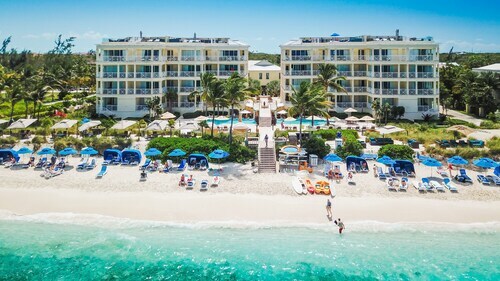 This Providenciales resort is located by the ocean, nestled on the beach a short distance from Coral Gardens Reef, Turtle Cove, and Salt Mills Plaza. Also nearby are The Regent Village Shopping Mall and Pelican Beach. 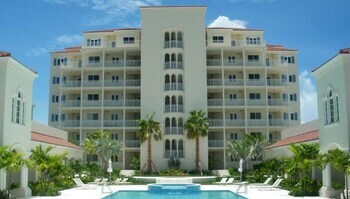 This Providenciales resort is set on the beach a short distance from Coral Gardens Reef, Turtle Cove, and Pelican Beach. Local attractions also include Grace Bay Beach and Salt Mills Plaza.